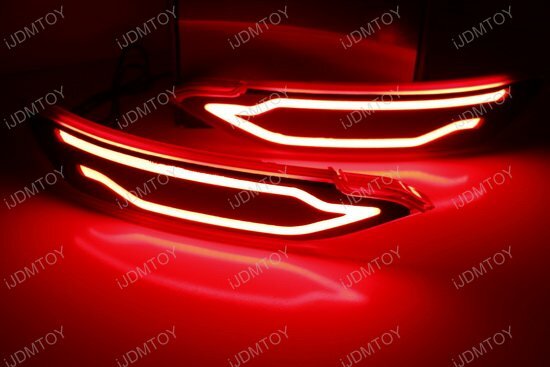 A: The JSR style red lens LED bumper reflector tail & brake lights are made to fit in the 2016-up Hyundai Tucson IX35. 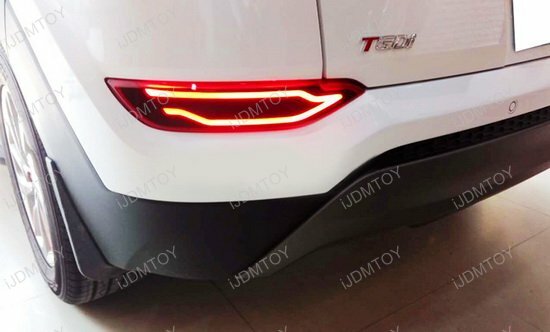 Q: What OEM part numbers will this lower bumper light reflector LED lamps replace? 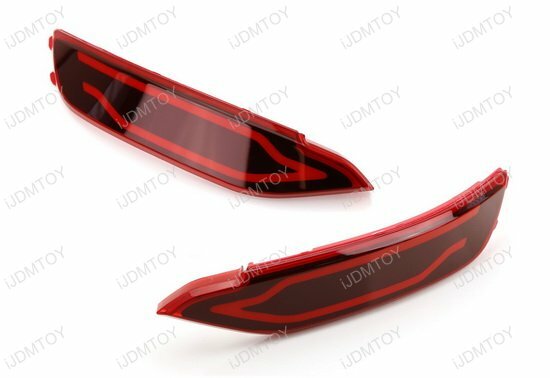 A: The JSR style LED bumper reflector tail and brake lights will replace OEM part numbers 92405-D3000 & 92406-D3000. 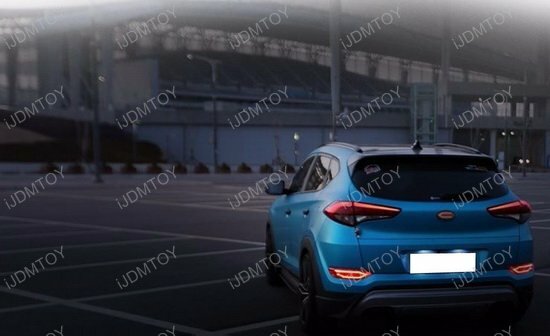 Q: What is JSR style? 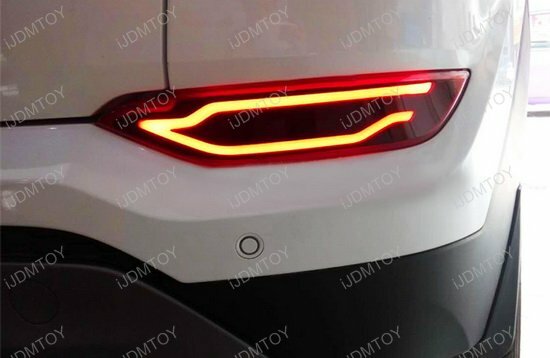 If you want to give your Hyundai Tucson and easy but eye-popping upgrade that will elevate its aesthetic, look no further than this pair of rear LED bumper reflector lamps! 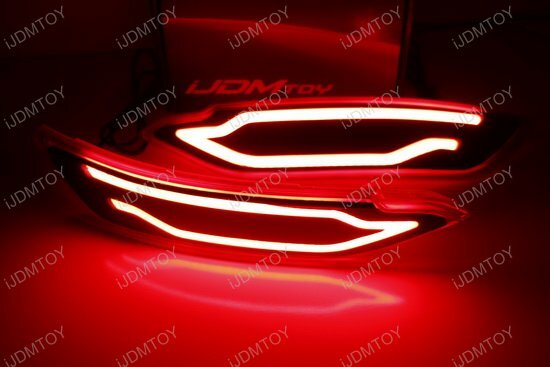 This page features the JSR style red lens LED bumper reflector tail/fog light assembly made to fit the 2016-up Hyundai Tucson IX35. 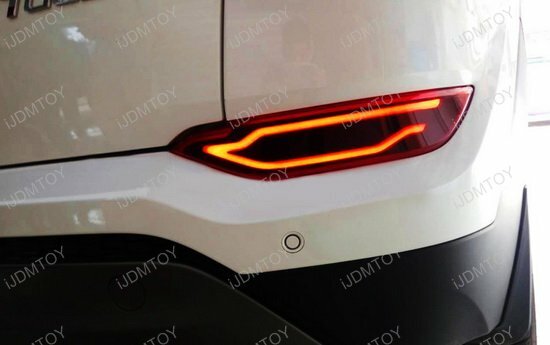 Using extremely bright brilliant red high power LED diodes in each red lens housing, the Tucson LED bumper reflector lights feature a JSR fluid style appearance that shields the individual LED emitters and blends the red light output, giving your Hyundai crossover SUV a cool sporty tail end look. 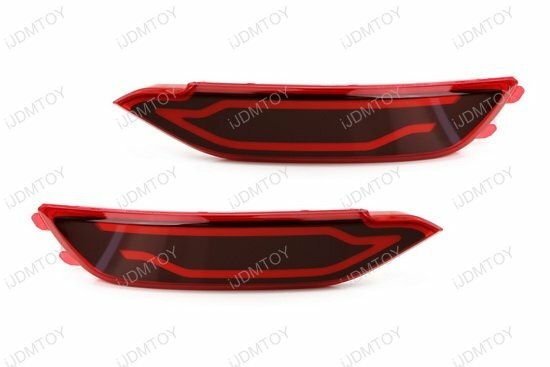 Use this pair of LED bumper reflector fog lamps to replace your bulb-less light reflectors (OEM part # 92405-D3000 92406-D3000) with a powerful pair of red LED tail lights that shine even brighter as stop lights when you apply your brakes. 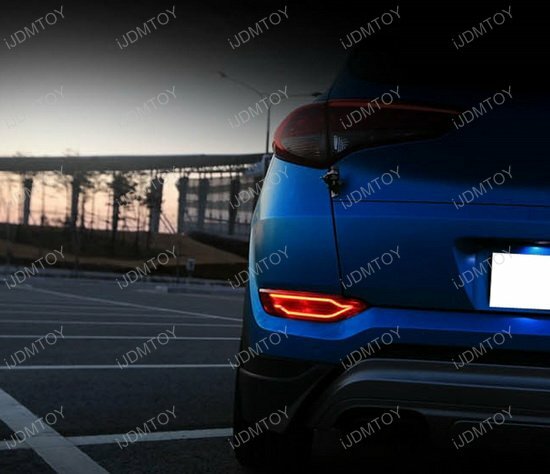 With an edgy design set just below your liftgate, your Hyundai Tucson will catch many eyes on the road as you signal a stop and set drivers in awe!